Firstly here is my jewelry box! 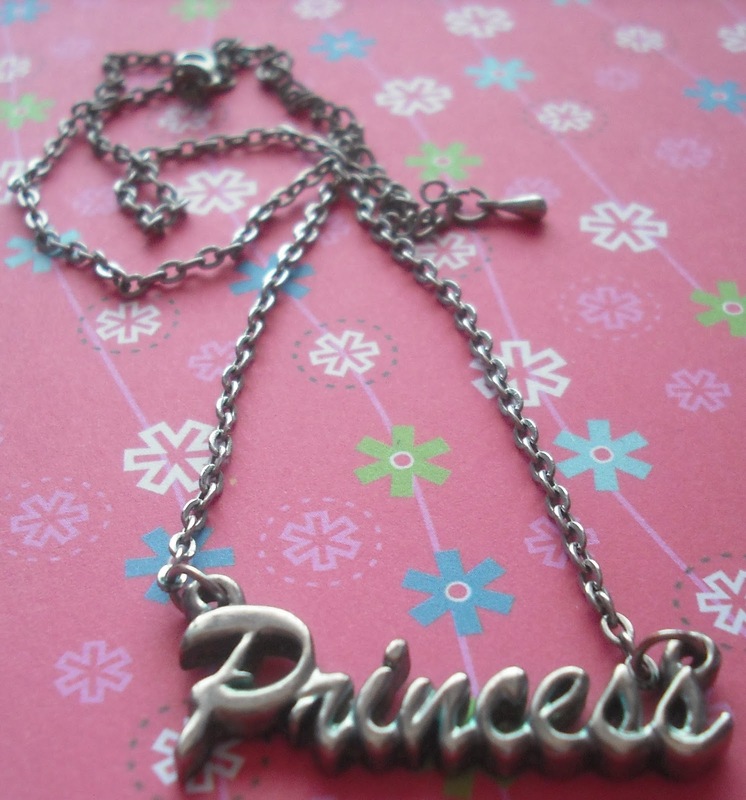 I got this from Argos as a Christmas present a few years ago. I believe it was £25 after it had been reduced from £50! It's the same colour as my bedroom so quite pleased with it! 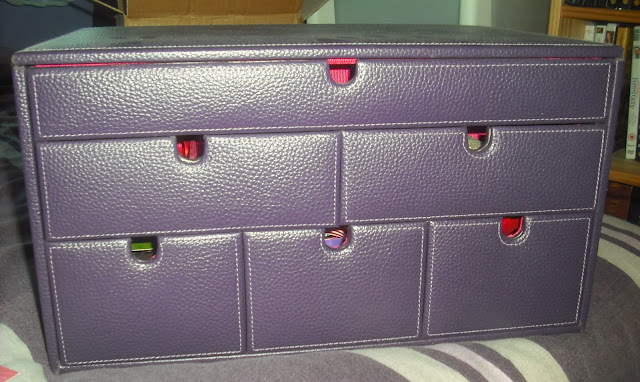 I has three large drawers on the bottom, two drawers with 4 compartments each and a lift up top with smaller sections and a large mirror inside the lid. I've recently cleared this out and reorganized it due to getting rid of broken pieces or ones I no longer wanted, so this is everything I own! I love to wear necklaces more than any other accessories, so I seem to have accumulated dozens over the years, but these are my faves out of them all. 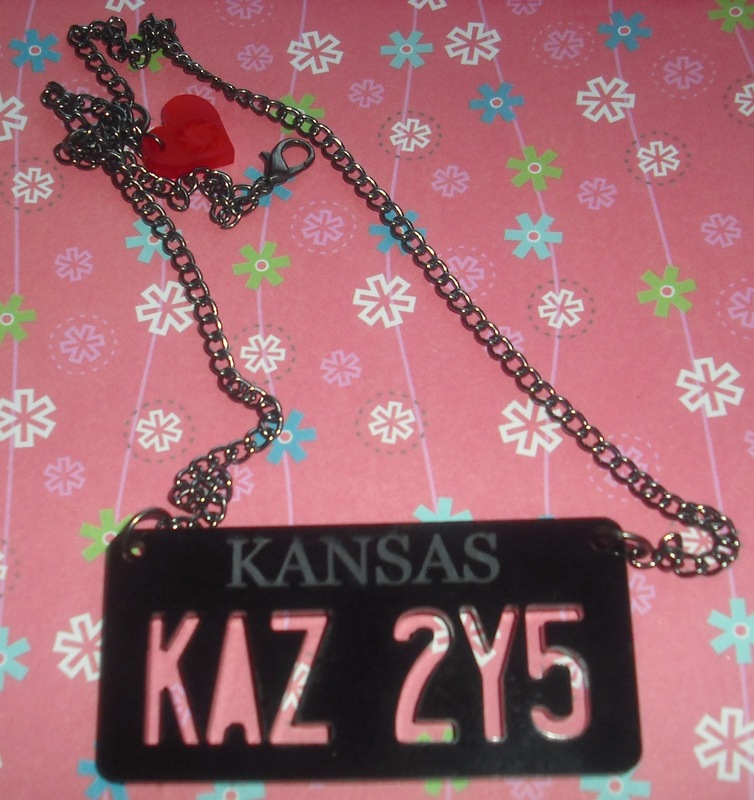 One that I seem to keep wearing is this handmade License Plate necklace off of the show Supernatural. I bought this from Etsy and absolutely love this. It is the original license plate off of the 'Metallicar' aka the Impala that the Winchesters drive around in! I'm a huge fan of the show, so when I saw this I just had to have it. I think it was about £8 which was reasonable for it. 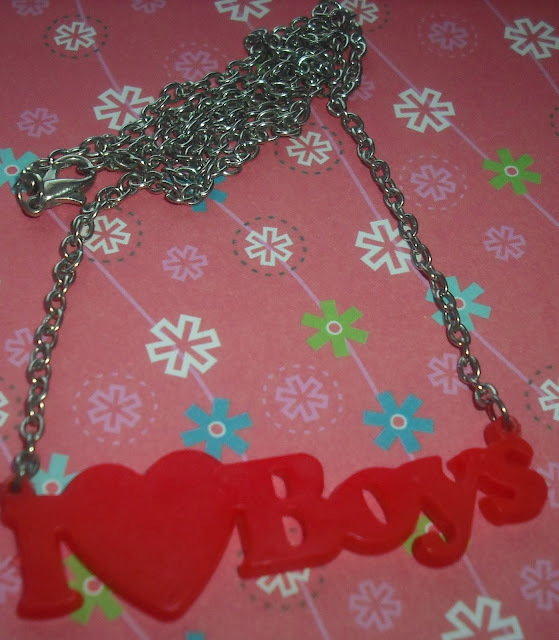 Another one is an I heart Boys necklace from a magazine! I've had this for ages, and considering it is from a magazine as a freebie, it's never broken and the chain hasn't turned my neck green! I've worn this quite a lot over the past year or so as it's a little quirkier than a my usual necklaces, just like the license plate one. 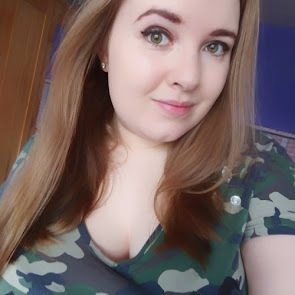 This purple one from New Look, isn't one I can wear often, as you need a low cut top or dress to wear this as it hangs down quite low. I've worn this a couple of times and found it is a little heavy as there are so many jewels on it! I'd like to wear it a lot more as I think it is really pretty. It was £12 so I really need to use it more. 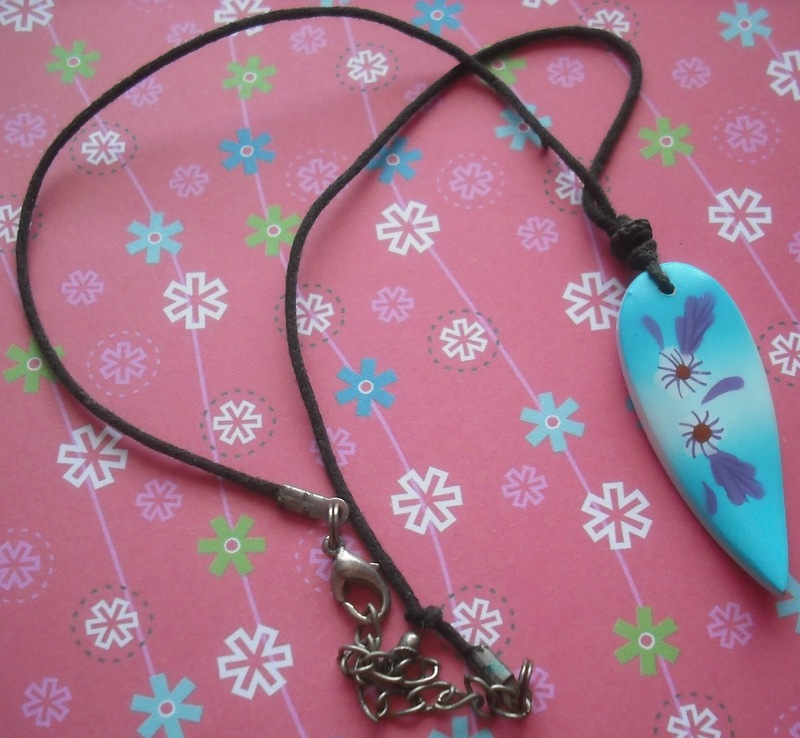 The Hawaiian Surfboard necklace is my go-to item when I am on holiday in Cornwall. I bought it there one year, and wore it for the whole two weeks. It's not broken yet, but the rope thread for it is beginning to thin out slightly This was from a market stall for about £2.50 so has lasted for quite sometime! Next is a birthday present from my friend Billy! We're both Potterheads so he found the perfect gift for me! This beautiful replica of Hermione's Time Turner necklace has been worn a few times, mainly when going to the Potter Studio Tour! 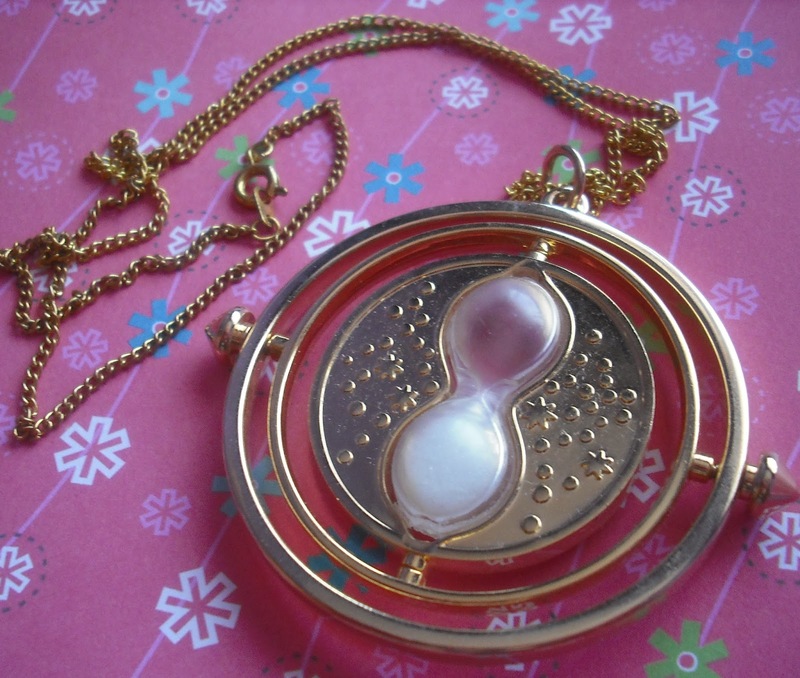 I'm so scared about it breaking, that I've not worn it too much as it is really fragile. Next is this wonderful two piece set I bought, (as separate items) from Primark two years ago. 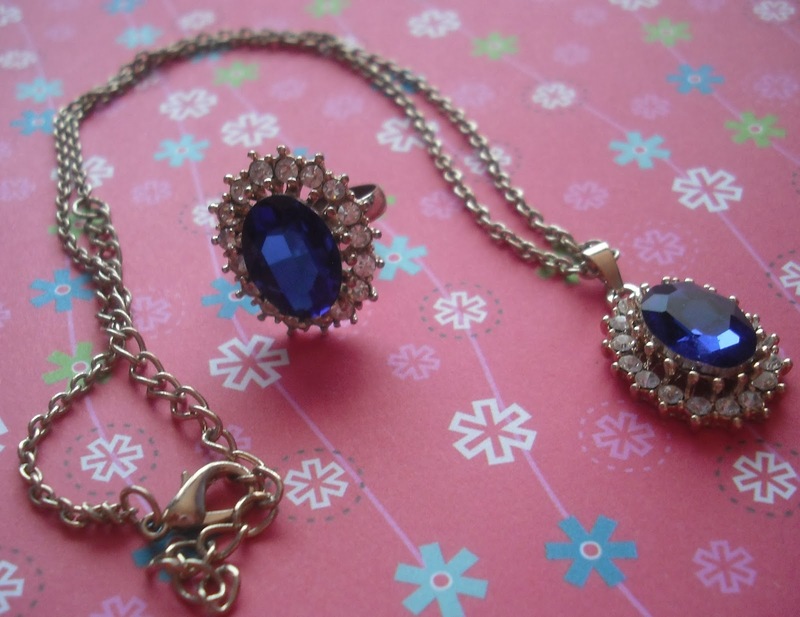 I bought the necklace first for about £4 as I loved the design and colour of it, and a few weeks later I found the ring. I looks a lot like Kate Middleton's engagement ring, so I adore this little set. Sadly as it is such a cheap price, both items are slightly fading from their golden sheen and making my neck go green, so I can't wear them for long anymore. A set of rings that I've picked up over time are these three! The black rectangle ring is from Claire's accessories and was £2. The plastic gem is loose inside the ring holdings, so I've not worn it much, but I love this with an LBD. The middle ring is from a Cornwall souvenir shop in their fashion jewelry section. It was only £1, but I've worn this on so many occasions as it really stands out! Lastly on the right is a cream flower ring I received for my birthday. A few petals have fallen off, but Dad managed to salvage it for me, so I have worn it a couple of times. I don't have many outfits that it matches so haven't worn it as much as I would have liked. These square cut bangles are my all time fave accessories. These were £3 each from another market stall in Cornwall. 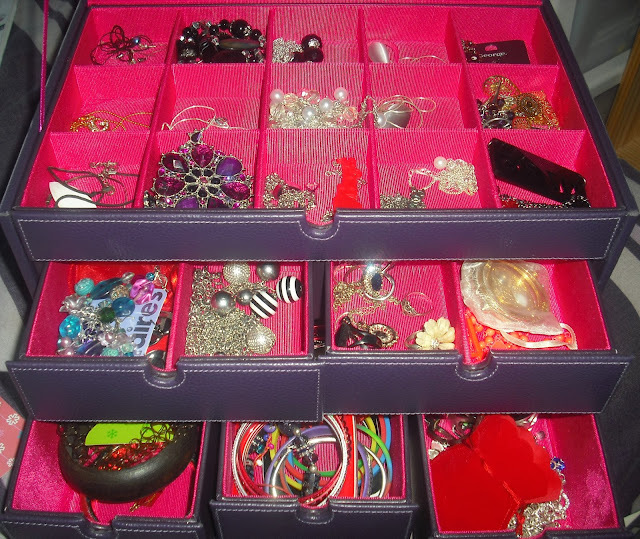 Realized where I buy most of my accessories? I wear a lot of black and red outfits, so these have been great for the past seven years! The inside of these are fading a little now from over use, but I don't see me not using them for a very long time. 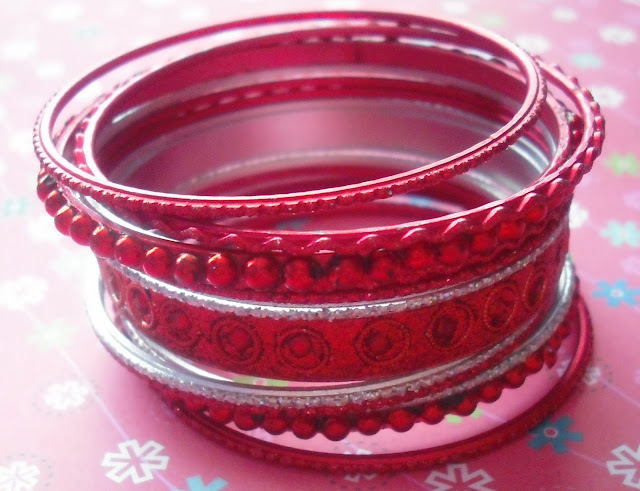 The next items are these silver and red glittery bangles which are my Christmas go-to accessories. 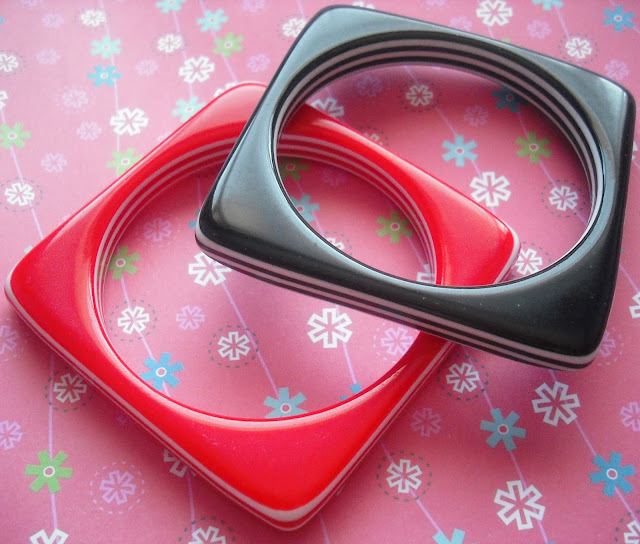 I always wear either black or white for Christmas events and then accessorize with red items. I've had them for about three years so the glitter is beginning to fall off now! These are from George @ Asda. I've got a black and white dress to wear this Christmas, so will be wearing these again as usual! 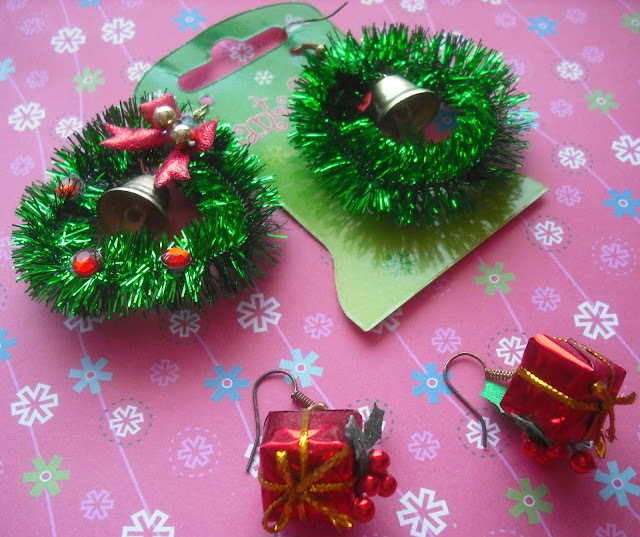 Last up are my Christmas earrings which I will be wearing up at work again soon! Come December, we are allowed to wear Christmas items as longs as they don't interfere with work, so I've worn these two pairs for both my Christmases at work. I prefer the presents over the wreaths, as the wreaths have bells inside which get annoying on an 8 hour shift! I got these from my local Pharmacy actually for £2 each so I am quite pleased with them!